I get questions about Bitcoin and crypto almost every day from investors in First Block Capital or from investors in one of our crypto products. The main question is always my view on price, why did Bitcoin go down so much and what will happen in the future? After writing many emails about it and having many conversation on this topic, I decided to put some of my thoughts here as well. Markets always overshoot, both on the upside and on the downside. Looking back to what happened a year ago when Bitcoin hit all time highs almost every day around this time, it’s now clear that the Bitcoin price went up way too fast and that it overshot it’s “real” value. What was happening is that because price went up so much demand increased fast, but nobody wanted to sell. That led to an even bigger increase in price, which in turn led to even more demand. This whole carousel stopped when the price hit almost $20,000 and some people started taking profits, meaning the supply went up. This caused the price to go down and some of the latest investors started to panic (they had never seen Bitcoin going down) and started to sell. The market stabilized after a couple of months and for many months the price hovered between $6000 and $8000. News reports about Bitcoin being more stable than Twitter stock came out, but they were a bit too fast. Over the past couple of weeks Bitcoin saw another huge reduction in price. This happened all of a sudden and not many people had expected this (I for sure had not seen this coming). The main reason seems to have been the hard fork in Bitcoin Cash. I have never been a fan of Bitcoin Cash (BCH), mainly because of the scammers and criminals behind it and because of how they have been trying to destroy Bitcoin itself. The group behind BCH got into a disagreement about what the future of the coin should look like and that led to a split (a hard fork that split BCH into 2 different coins). Normally a hard fork pretty quickly has a winner and a loser, but because both parties behind the coins had tons of money they both invested crazy amounts o money in mining these coins to make their coin the winner. I think that what happened is that in order to finance this race, they had to sell their Bitcoin. This led to an increase in supply while demand was very stable, with a huge drop in prices as a result. That caused a panic among people that still held their Bitcoin and believed it would never go below $6000 (“Bitcoin might go to zero!”) so a whole wave of new selling occurred, causing Bitcoin to drop even further. What we are seeing now is another example of the market overshooting its target, but now on the downside. My gut feeling tells me that Bitcoin would be fairly priced in the $12,000-$15,000 range right now (which would be more in line with prices that most miners could profitably mine at), but in reality the price is in the $3000-4000 range. It’s once again supply and demand: a year ago everybody wanted to buy and not many people wanting to sell, now it’s a lot of people trying to sell their coins while there is not a lot of demand. I believe today’s prices are a great entry point if you are new investor or a good way to get a lower average price of your coins. Sure, Bitcoin could go down even more, especially with people selling for tax purposes (losses that can offset capital gains), but I don’t see it going much lower anymore. I am actually surprised prices are so low, even though with hindsight I can explain why it happened. But I also know this bear market won’t last forever, simply because too much is happening in the space. Earlier this year I publicly said that I expected the Bitcoin price to be in the $20,000-$30,000 range by the end of 2018. This prediction was based on institutional capital coming into the market. That has not materialized yet, simply because it took much longer to get products and services approved. For example, a Bitcoin ETF has still not been approved by the SEC, despite many reputable companies filing to launch one. It will happen eventually (put February 27, 2019 in your calendar, by then there will be a final decision on the Van Eck ETF, the most promising candidate to be approved), and once it happens it may be a catalyst for a new bull run. But also other institutional products took a lot longer to get to market, for example institutional custodians and institutional exchanges. But that is all changing, with Goldman Sachs investing in BitGo and Fidelity launching a crypto custody product. Also a Bitcoin settled future will have a big impact (BAKKT will launch this in late January 2019), because in order to settle the transaction physical Bitcoins have to be bought (so far all Bitcoin futures were cash settled), meaning increased demand for coins. Once these products are live it will be a matter of time. None of the institutions wants to be first, but once one or two announce that they invest in crypto the others will follow. Nobody wants to be last either, so everybody aims to be a fast follower. When will this happen? Nobody can tell, but given the time frame when these products will be live I think prices a year from now may be significantly higher. My long term view on Bitcoin has not changed at all. I still believe that Bitcoin might eventually be worth hundred of thousands of dollars per coin. My views on this are even stronger now than a year ago, partly because of new developments in the space (things like Lightning Network that will make Bitcoin a currency with lightning fast transactions at almost zero cost) and partly because I have changed my view on Altcoins significantly. A year ago I still believed we would have a world with hundreds of altcoins that could all be very valuable. Now I believe we will end up with maybe 10-20 valuable altcoins, while the rest may go to zero. Only the altcoins with strong teams and with properties that other coins don’t have will survive. Several of the top 10 coins may not survive, even the number 2 coin (XRP) will likely disappear once the SEC determines it is a security. I am also not that worried about forks anymore. Bitcoin has proven many times that it can survive hard forks, and the current slow death spiral of Bitcoin Cash is another example of this. The increase in Bitcoin dominance (the Bitcoin market cap as a percentage of the total crypto market cap) to over 50% shows this as well. The current bear market reminds me of the dot com boom and bust in the early 2000s. At that time the media predicted the end of the Internet and that e-commence would never work. But guess what, 18 years later the most valuable companies in the world are the tech companies that nobody believed in anymore. Amazon went down from close to $100 to $6 during the dot com bust, Bitcoin is actually doing relatively well compared to that decline. This year Amazon hit $2000, over 20 times its all time high during the dot com boom and over 300 times the value during the bust. Assuming Bitcoin is the next Amazon a 20X at its all time high would be a price of $400,000 and a 300X based on the current price would be more than $1 million per Bitcoin. Don’t give up on Bitcoin yet! Now that Bitcoin is in a bear market it’s a good opportunity to work on new business opportunities in the crypto space. Once the next bull run starts the emphasis will be mainly on price again and it will be harder to focus on building out new ideas. One of the things we are focusing on at First Block Capital is the Lightning Network, a second layer solution on top of the Bitcoin blockchain (and several other blockchains) that will lead to super fast and super cheap transactions. Basically Lightning makes Bitcoin the perfect payment method. There are still a lot of hurdles to overcome before we are there but I am confident the teams working on it will get there. I was relatively late to the Bitcoin game (I first started investing in early 2013), but I was early to the Lightning Network. Last year I invested a small amount in Lightning Labs‘ seed round (through AngelList) and have been closely following the technology since. After the initial beta for developers earlier this year I started looking for business models on top of Lightning (Lightning Apps (Lapps), basically 3rd layer solutions on top of a blockchain) but also realized we needed to set up a Lightning node at First Block. We did set up a node and quickly became the 6th most connected node on the Lightning Network with over 200 open channels. This sounds easier than it is, the Lightning network is still very user unfriendly and opening up channels is a time consuming manual process. At one point we actually lost half of our channels and our in-house Lightning expert Chang Li had to set them up all over again. However, the return on investment is huge. By trying and breaking things we learn a lot about Lightning, information that is not available online yet, and I believe we now know more about Lightning than most other companies in the crypto space. But even better, we also make money with it! I had seen theoretical models that predicted that well connected nodes can earn 60-80% per year in Bitcoin on the funds in its channels, but I thought that would only be the case once Lightning would be more mature. Turns out I was wrong. After many of our channels had crashed Chang added up the money in our node to see if we lost anything and it turned out we had made about $125 in just one week on an investment of $2000 (spread over 200 channels). That is over 5% per week! We paid about $60 in transaction fees to set up all the nodes, so basically we earned that back in 3-4 days and all returns after that are profit (not taking the time to set up the nodes into account nor the cost of the server). We can always close our channels and get our $2000 investment back, plus all the fees we earned. The ‘problem’ is that we don’t know how we made this money. Lightning is so new that you can’t easily see which (or even how many) transactions went through your node and how much you made per transaction. Our thinking is that Satoshi’s Place (an interesting Lightning ‘game’ based on the million dollar homepage) led to a large number of transactions through our node, but we don’t know for sure. We are now looking at how we can best record the number of transactions and the average fee per transaction (we believe gathering and analyzing Lightning data may be another angle to earn money). We have a lot more ideas for Lightning that we may work on. My personal opinion is that if Lightning should take off it will change the Internet as we know it. Not only will Bitcoin go sky high, but it will likely change the business model of most of the top Internet companies. I believe the next generation of multi-billion dollar companies may be based on Lightning and now is the time to start thinking about them and build (or fund) them. First Block Capital gets first cryptocurrency investment fund license! Over the past couple of months Sean and I worked extremely hard to become the first fully regulated cryptocurrency investment fund and we pulled it off together with Jason Brooks and his legal team at BLG! The British Columbia Securities Commission granted our company First Block Capital its license and called it a landmark registration in a press release earlier today. Super happy with the result. This week we will launch the FBC Bitcoin Trust, our first product that we will roll out globally to institutional & accredited investors. Next week our roadshow will start, looking forward to getting the financial world into Bitcoin! VANCOUVER, BRITISH COLUMBIA–(Marketwired – Sept. 6, 2017) – The British Columbia Securities Commission (BCSC) today announced the first registration of an investment fund manager in Canada solely dedicated to cryptocurrency investments. The BCSC has granted First Block Capital Inc. registration as an investment fund manager and an exempt market dealer in order to operate a bitcoin investment fund. Cryptocurrency investments raise risks that are different from traditional asset classes, including the cybersecurity risks inherent in dealing with digital currencies. These risks relate not only to the registrant, but also to the bitcoin fund’s custodian, a third party chosen to facilitate the safekeeping and exchange of bitcoins. The conditions of registration imposed on First Block Capital were crafted to give flexibility to allow them to operate under the present regulatory framework, and give tools to the BCSC to evaluate the identified risks of this innovative fund type. First Block Capital is also now registered as an investment fund manager and exempt market dealer in Ontario; the BCSC is its principal regulator. The BCSC launched the Tech Team in January 2017 as part of its fintech outreach initiative to help B.C.-based fintech and technology companies understand their securities regulatory requirements. The Tech Team is also actively involved with the Canadian Securities Administrators’ Regulatory Sandbox Initiative, which supports fintech businesses seeking to offer innovative products, services and applications in Canada. The Tech Team will continue engaging with key stakeholders, and anticipates issuing a publication later this year summarizing results of its outreach and proposing next steps to meet the needs of B.C. financial technology industry participants. More information on the BCSC’s fintech outreach can be found on the BCSC’s technology webpage. The BCSC’s Tech Team can be reached by email at TechTeam@bcsc.bc.ca. Want to invest in Bitcoin? 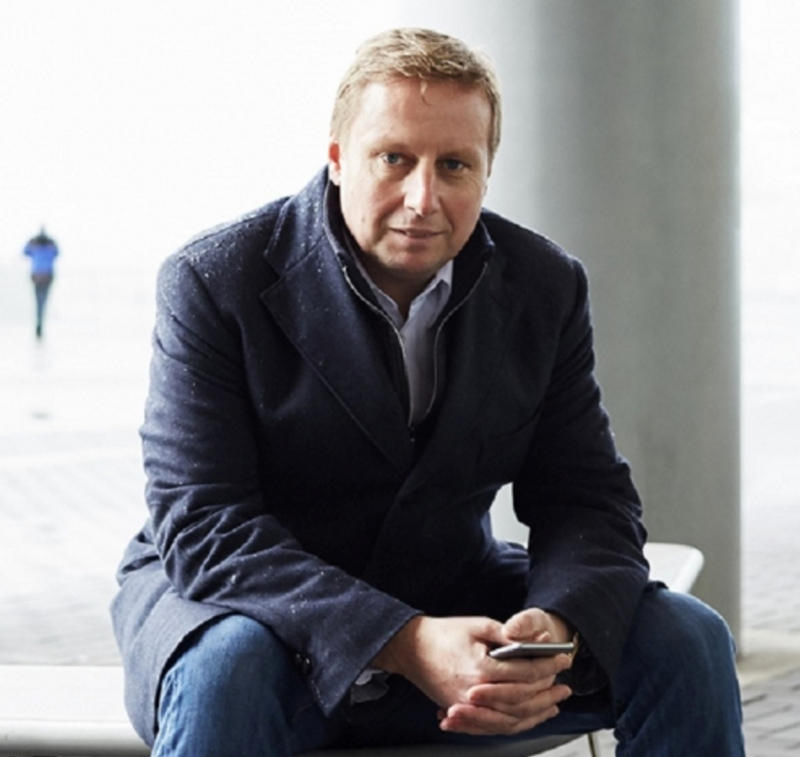 The Canadian Bitcoin Trust just launched and is now available to eligible investors. As most of you know I am a big believer in Bitcoin and I have been for years. I invested in Bitcoin, I invested in Bitcoin companies, I speak at Bitcoin and blockchain conferences, and I founded and run a blockchain company. One thing I realized over the years is that buying Bitcoin and keeping it safe is still a major hurdle for investors. Experienced “Bitcoiners” may think it’s easy, but if you have never bought coins and you need to transfer money to an exchange and then set up a wallet, it can be a daunting task. If you invest a significant amount of money you want to make sure the bitcoins are safe and you may worry about getting hacked. So many people asked me about how to buy Bitcoin that last year I decided to solve this problem. The idea Tom Kineshanko and I came up with was to launch a trust that would issue units that represent part of a bitcoin. People can buy these units, so effectively they buy small parts of a Bitcoin without having to physically buy Bitcoin themselves and without having to worry about being hacked. It’s comparable to buying shares in a private company, although in this case the company is Bitcoin and the shares are relatively liquid. In order to get this started we teamed up with super-entrepreneur Sean Clark, who is among others the former Co-Founder of Shoes.com. Together we founded First Block Capital earlier this year and raised $700,000 for it in one week (probably a record for a start-up in Vancouver). FBC is the management company that will eventually run several funds, including a cryptocurrency hedge fund that will be managed by Tom, and the first vehicle we started was a Bitcoin trust. Sean and I launched the the Canadian Bitcoin Trust in June to accredited investors, with a minimum investment of $1 million per investor. But our aim was to open it for retail investors as well. That was easier said than done, because you need licenses to sell to the general public – which is a good thing in my opinion, there have been too many scams and pump & dumps in Canada. So we applied for these licenses but it will take at least a few more months to get these and we wanted to be the first to launch a product like this to the retail sector in Canada. We managed to become the first by partnering with FrontFundr, an equity crowdfunding platform based out of Vancouver. I am a shareholder in FrontFundr and I am on their Investment Committee, so I knew they had these licenses already and that we could potentially work with them if we would prepare a so-called Offering Memorandum. Together with our law firm (Borden Ladner Gervais, BLG) we worked crazy hours over the past couple of weeks to get this done and this week we got the green light to put our offering online. Having the best law firm was not cheap, but BLG helped us to navigate the many hurdles and potential roadblocks, and they were fully committed to help us to launch as soon as possible. I am very impressed with their work, especially after having worked with many other top law firms over the past decade. We are now officially the first investment vehicle (in Canada) that allows eligible investors to own bitcoin through owning units of a trust. We know a couple of other firms are working on similar ideas and one even tried to launch yesterday as well – too bad they didn’t know we already launched a month ago without mentioning it in the press. We have big plans for the future of the Canadian Bitcoin Trust, but I can’t write about it here until we have our licenses. If you’re interested to own some Bitcoin you can go to our campaign on FrontFundr and invest on the site. The minimum investment amount is CAN$500, there is no maximum amount. Except for US citizens we should be able to accept investors from most countries in the world, as long as you are able to invest in Canadian Dollar (so Chinese who want to invest would have to get C$ first). If you are an accredited investor who wants to put in at least $1 million please get in touch with me directly. The press release for our launch is here. Note: This is not investment advice! Bitcoin is very risky and investing in the Canadian Bitcoin Trust could mean losing all your money. Please read the Offering Memorandum that we published on FrontFundr site before making any investment decisions. Over the past couple of months the Bitcoin price exploded, from around $1000 in early January to almost $3000 earlier this week. The price increase not only leads to more people being aware of the cryptocurrency, but also to mainstream financial media taking it more serious. 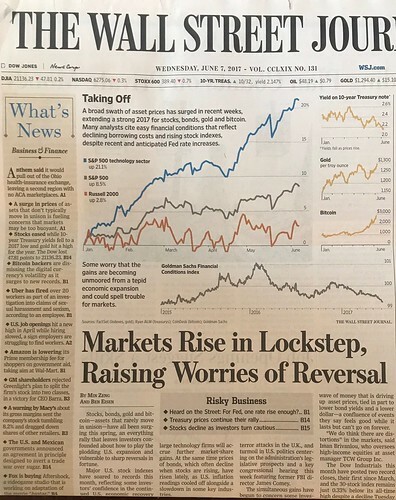 This morning I was very surprised to see that the Wall Street Journal casually mentioned on its front page the four asses classes stocks, bonds, gold and bitcoin! That is huge, as far as I know that has never happened before. Bitcoin has come a long way, happy to see it’s becoming a lot more mainstream. 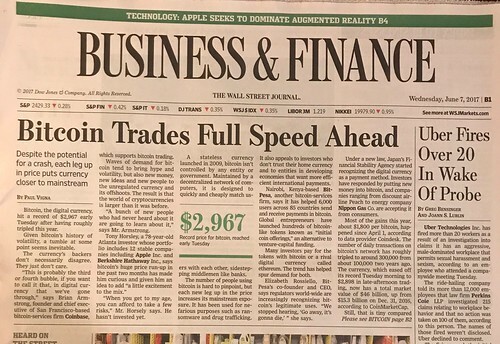 Going to the Business & Finance section of today’s WSJ, my surprise got even bigger when I saw the title of the main article on the front page of that section “Bitcoin Trades Full Speed Ahead”. Wow… For years I have told people why Bitcoin won’t go away, why it is so valuable, and why people should invest 5% of their net assets in it. For years most people did not want to listen, but at least the ones that listened made incredible money on their bitcoin investments. And then all of a sudden the WJS puts bitcoin in the same league as stocks, bonds, and gold! This really made my day. By the way, I still believe bitcoin is undervalued and the bitcoin price will go up a lot more. If you follow my Twitter feed this is no news to you, I have been telling people for years to keep buying bitcoin and also told them to buy Ethereum and Ethereum Classic in early February (people who did that made $15,000-$20,000 for every $1000 they invested – in just 4 months). But what will happen to the bitcoin price now that it’s at almost $3000? Is this a bubble? I wrote an article about this earlier this week to the investors in First Block Capital, the management company that runs several bitcoin and altcoin funds. I copy/paste the article below with some small changes to avoid that this is seen as marketing for our own funds (it is not of course, it is my personal opinion that anybody can agree or disagree with). Since we closed our investment round in late April the cryptomarket suddenly went into exponential growth mode. Bitcoin grew from $1360 in late April to about $2700 in late May, before bouncing back to about $2000 and then growing back to $2900 at the time of writing (June 5). Altcoins have seen even stronger growth, with not only the smallcap coins but even some of the larger coins such as Ripple, Ethereum, and Ethereum Classic exploding in value. Daily price increases of 30-50% were not uncommon for some of these coins during this period. What is behind this trend, specifically for Bitcoin? Is it a bubble? Yes and no, growth rates of consistently more than 10% per day are highly unusual and normally a clear sign of a bubble. That’s why I was quite happy to see Bitcoin go down 25% in 2 days around May 25. After this cooling off period slower growth started immediately, showing that nobody had lost appetite in Bitcoin yet. After about a week the price was back at $2500 and then over the past 2 days the price started increasing with about 10% per day. The reason for the fast growth is simply supply and demand. The bitcoin supply is fixed at 21 million coins, and currently about 16.4 million coins have been mined. The rate of growth in coins is decreasing and only 4.6 million more will ever be created. At the same time more people hear about Bitcoin. People who may have dismissed it a few years ago are surprised Bitcoin is still around and growing faster than ever. Suddenly they realize they may have been wrong all along or they may still not get it, but want to at least hedge their bets. So they want to own a Bitcoin themselves. When not enough new coins are created and nobody is selling (most Bitcoin holders are so called HODLers – they “Hold On for Dear Life” in the Bitcoin rollercoaster) the price will automatically go up until someone feels enticed to sell. And what happens if the price goes up? More people hear about it and want to own a coin as well, leading to even faster growth. This is what happened in May and what will happen very soon again. There are just not enough coins available and demand is going through the roof. Bitcoin exchange Coinbase added 400,000 users just in May this year. The average waiting time to get approved by an exchange is up to 3-4 weeks for most exchanges. All these people will talk to their friends after they made 20% profit in just a few days, and then some of their friends will want to get into the game as well. A bubble, yes, but not an unsustainable one. Look in your direct circle of friends or family, likely most of you will not have more than 2 or 3 good friends or family members that hold Bitcoin. That means most people you know have not even thought about buying coins, let alone really bought them. That’s not the sign of a bubble. Institutional money is not even in the game yet, simply because most funds can’t invest directly in Bitcoin (we are working on solving that!). Or think about it this way, the US has about 11 million millionaires. If all of them wanted to have just one Bitcoin that would be impossible. There are only 4.6 million coins left, prices would likely have to go into the hundreds of thousands of dollars per coin to convince enough people to sell. Some people may say that Bitcoin prices of $2500 are crazy, but I don’t agree. I have been in the market since prices were below $100 and each time the price hit a new psychological hurdle people said that Bitcoin was overpriced. At those lower prices I was never fully convinced whether Bitcoin would make it and whether the prices reflected the real value of Bitcoin. But the longer Bitcoin survived, the more I realized how resilient it is. Now that the public is finally waking up to Bitcoin I believe the currency is suddenly very undervalued. I have seen the fast growth from $100 to $1000, I have seen the crash from $1000 to $200, followed by the slow growth back to $1000. I have then seen the fast growth from $1000 to 3000, I am now fully convinced we may see $5000 quite soon and potentially even $10,000 later this year. And after that? Nobody knows. But if Wall Street gets into the game and if people really start treating Bitcoin as digital gold prices of $100,000 or more are very well possible. We will get lots of crashes in between, it won’t be straight growth. But keep in mind that you should HODL – don’t sell your coins in a sudden panic wave of sell orders. There are still some risks, but they are getting smaller. The biggest risk is still how to keep your coins safe, and that is what First Block Capital will help its investors with. Later this month we will go live with a campaign on FrontFundr so Canadian retail investors can invest in Bitcoin as well. A self fulfilling prophecy? Partly, but a prophecy in which I believe completely. Next time some more information on some of the major alt coins that we plan to invest in through our hedge fund and what I see happening there. Always feel free to get in touch with remarks or questions and keep in mind I intentionally left a lot of information out (Segwit and Hard Fork anyone?). Happy crypto investing! For months I have been surprised to see that the US stock market keeps breaking records. Yes, I get it of course, corporations and investors believe the Trump presidency means lower taxes and more stimulus for businesses. However, by now any rational person should realize that most of this will be pure wishful thinking. In my opinion the USA is headed for disaster, but most market participants don’t want to see it. Trump behaves like he is crazy, just looking at his tweets it is clear that he does not belong in the White House. Not only does he not seem to grasp what it means to be president, but with his erratic behavior and thin skin he is a danger to the world. Most of his voters didn’t want to see it before the election, which was a surprise to me. But it seems most still don’t want to see it, and that is why I believe the US economy -and with that the stock market- is headed for disaster. When will that happen? I think fairly soon. I see so many red flags that I wanted to write a quick blog post about it. This week the world faces some important economic and political events that may lead to a perfect storm. First of all the Brexit vote. If the UK indeed decides to leave the EU this will be a major setback and could lead to a shockwave on financial markets. On Wednesday the Dutch will have their elections. Normally not an important event (at least not for the rest of the world), but given that the right-wing populist party of Geert Wilders has a chance to win, this could lead to a new shockwave. Next to that the FED will make a decision on the interest rates. Trump wants to see economic growth, so he wants to keep the rates low, but it seems likely that the FED will start increasing its rates this week. That’s bad news for business, especially because this will be the beginning of a series of rate increases. But most important, and something you don’t read much about in the media (yet), is that Wednesday night the US will reach its debt ceiling. That means that the country is not able to borrow more money to finance its deficit. With $20 trillion (!) in debts the country is in unsustainable territory already, but now things are getting even worse. In the past debt ceilings were always increased, although sometimes at the last moment and after a serious stand-off. However, now that Trump is in power there is no Democrat who would vote for an increase in the debt ceiling. So the world may realize on Thursday morning that the good times might suddenly be over. The US has enough money to keep paying its bills until early this summer (mainly interest payments on debt), but it will have cut a lot of other costs do so. That in itself is problematic already, but when that happens Trump might finally realize that his plans for tax cuts and additional infrastructure and defense expenses simply won’t work. Or if he still doesn’t get it, it is likely that at least the market will understand that fiscal stimulus measures are unlikely to happen. And what will happen the moment the US really runs out of cash is anybody’s guess. I would actually not be surprised if Trump would choose to go for a default its obligations and then blame it on the Democrats (he indicated this once during his election campaign!). I believe this would pave the way for a dictatorship: the economy would completely fall apart, people would not only lose their social security but also their pensions, and riots would be very likely. Trump would then re-emerge as the strong man who will solve it, by blaming anybody but himself for the mess. Summarizing, from an economic point of view I don’t believe the stock market rally can continue for much longer. To me it seems a huge stock market crash is inevitable. It’s not a question if it will happen, but only when it will happen. The moment the first investors start heading for the exits the whole house of cards may collapse. If you are an investor you should consider hedging your bets by going into gold, silver and possibly Bitcoin. Don’t wait too long. A team of four experienced serial startup and fund founders will launch a Canadian Bitcoin and Altcoin Investment Fund out of either Vancouver or Toronto. Fund 1: tax efficient bitcoin buy and hold fund. One of our co-founders, a machine learning PhD who has been building trading algorithms for 100M+ hedge funds for the past 6 years, will be designing our trading strategy/algos. This one requires a deeper understanding of the crypto world, in short we’ll be buying into “Initial Coin Offerings” – digital IPOs effectively where we can buy and then later sell tokens (crypto curency units) at a gain. The team has worked with a major law firm for the past 4 months and has determined the best structure to set this up. The team also has about 70% of the seed capital needed to open and begin raising money into fund 1. We need to find a few more friends/family investors to invest in the management company. We are looking for a proven entrepreneur who wants to commit to this full time for at least 3 years. Large stock incentive package available for the right candidate. My preferred candidate should be an entrepreneur based in Canada (or someone with previous experience in Canada who would be willing to move here), should have raised money before, should have a working knowledge of and interest in bitcoin and altcoins, and should have some previous fund experience. If interested send me an email: marcvanderchijs@gmail.com. Feel free to share! First of all a Happy New Year to all my readers! In 2016 I started paying a lot more attention to my health and especially to what I eat. There were several reasons for that, but an important source of inspiration was Tim Ferris’ podcast series. Among others I started experimenting with the ketogenic diet, a high fat and protein diet that can put your body into ketosis. I also started doing intermittent fasting, by skipping breakfast regularly and having a late lunch and thereby fasting for 16-18 hours a day. When reading more about fasting I found that many studies have shown that this can lead to an increased life span. That peaked my interest so I started reading more about the factors that determine human longevity. I was fascinated by what I found and by how far research has come already. I also realized that mainstream media is playing this down a bit. Until a few months ago I thought it would be impossible to live forever, but now I realize that we are actually pretty close to a breakthrough. Aging is a disease, a disease that can be stopped and that can be reversed. We know how to do it already, but we are not able to do it technically yet. There are some simple ways to start doing this and I’ll include these in this post as well. Why mass media does not pick up that story is something I don’t get. It’s probably just like with Bitcoin, only when it breaks through it gets on the radar of journalists. This post is for a large part based on an Exponential View podcast I recently listened to, an interview with Dr. Shamil Chandaria. If this topic interests you you should listen to it, it goes a bit deeper than my analysis and is a good start to dig deeper into this topic. How long can a human being live? If you were born about 150 years ago your median lifespan would be about 45 years. Right now the median lifespan of a newborn in the US is about 88 years, so roughly double what it was in the mid 1800s. However, the oldest person on earth around 1850 was over 100 years old, but the oldest person alive right now is about 115 years old (the verifiably oldest person alive made it to 122 years). That means that even if we live healthy, avoid major accidents and are lucky enough not to get cancer, our bodies will eventually stop working when we turn 120 years old. So longevity is not only about getting us to live to 120 (which is doable if you’re lucky to avoid major diseases), but especially to get us over the 120 year age cliff. But probably even more important is to be healthy when you get older. If you spend your last 30 years sick in bed there is no real use in getting older. If I would be so sick that I knew I would never be able to have a normal active life anymore I would almost certainly decide to do euthanasia. Getting older for the sake of getting older doesn’t make sense, you should be able to have a meaningful life. So longevity is also about the quality of life. Health economists have been able to quantify this with the term QALY (quality life-adjusted year). Basically if you are completely healthy one year is worth one Qaly, if you are dead you accumulate zero Qalys per year. There are situations where your life is so bad that you actually accumulate negative Qalys, but I won’t go there in this post. The goal of longevity is to increase the Qaly value of your life as much as possible. How many factors do you think will determine how long you will live? I always assumed there would probably be at least a 100 factors, but it turns out there are only 10 factors. We already know what these 10 factors are and scientists think that we can solve most of these problems over the next 25 years. I wonder if they take artificial intelligence into account in that calculation, in combination with the exponential rate of change in technology? If not immortality may be a reality much earlier already. But even if it still takes another 25 years this means we may be able to live forever if we manage to stay healthy until about 2050! To me that is fascinating. There may be people among us now already that may never die. It sounds crazy because we are all programmed to eventually die, but we will likely be able to change our code. Obviously this has a lot of social and economic implications. Things like what does this mean for our world if we keep procreating? Do we really want to live forever? What happens to the sense of urgency that many scientists have, knowing that you only have a limited number of years on this planet? I won’t go into that here, but the podcast above touches on this subject, so you may want to listen to that. There are tons of articles on that on the Internet as well of course, although many focus on longevity in the sense of all of us living longer, not all of us being immortal (which is a obviously a big difference). As I mentioned earlier, aging is a disease. As we age we get more cellular damage, but we also have a cellular repair mechanism. When we are young our cell repair is faster than the damage we do, but at a certain point in our lives the repair can’t keep up with the damage anymore. The result is aging. So one important thing longevity science is looking at is how to improve the repair mechanism. Cells replicate and each time that happens a bit of so called telomeres gets removed. Telomeres are the caps at the end of each strand of DNA that protect our chromosomes. That is a problem but it limits how often cells can replicate (this is called the Hayflick limit), and after the telomeres are gone your cell basically dies. It turns out that there is an enzyme that increases the length of telemores. Some animals (like lobsters) have activated this enzyme, meaning that they keep on growing and eventuallly die because they get too big. If we are able to activate this enzyme (which is called telomerase) we may be able to increase the number of times that our cells can replicate. That could lead to cellular immortality which is a huge step for longevity. So far only one person on this planet has done telomerase gene therapy. Her name is Liz Parrisch, the CEO of Seattle-based biotech company BioViva. Initial results seem very promising (her telemores had increased in length by 620 base pairs), but of course a sample of one is too small to lead to any conclusions. But this is a very promising start! Of course gene therapy is not available to anyone yet, and likely won’t be for a couple of more years, so what else could you do? The easiest and probably one of the most effective ways of living longer is by reducing the number of calories that you consume. This is easy in the sense that you don’t need a doctor to prescribe you medecine, but in our society of (over)eating and drinking it is not easy to keep it up. Luckily there is a solution for that and that’s intermittent fasting. It’s something I have been doing on and off for the past couple of months and it’s very easy to do. Basically you eat dinner before 8 pm and then don’t eat any calories anymore before you go to bed. The next morning you skip breakfast (You can have water, coffee or tea. I try to start every day with a big glass of warm water, often with lemon) and you don’t have lunch before 12. In that way your body is in fasting mode for at least 16 hours per day. You get used to it very quickly and I am not hungry at all. Once you have done some intermittent fasting you can try to go for just one meal a day during one or two days per week, or even go to 2-3 day fasts. It’s not that hard to do, but you have to be motivated. You will see results very quickly. I feel like I am in a better shape than ever before, I sleep better and I lost weight as well. Keep in mind that you should not overindulge during your one or two meals per day, fasting should be done in a combination with caloric restriction and preferably also with a reduced number of carbs. If you’re interested in this do a Google search on ketogenic diet and intermittent fasting. Several of my friends in Silicon Valley take Metformin supplements. Metformin is a traditional anti-diabetes drug that works by depressing glucose production in the liver. But it also increases the number of oxygen molecules released into a cel, which increase robustness and longevity. After doing a lot of research on it I am planning to start taking Metformin this year. Another drug that seems even more powerful than Metformin is Rapamycin. I first learned about Rapamycin in a super interesting Tim Ferris podcast that the taped on Easter Island with some leading longevity scientists (Rapamycin was first discover on Easter Island). It turns out Big Pharma learned about it as well and Novartis is pushing to bring a Rapamycin pill to market. Rapamycin has a lot more potential risks than Metformin (mainly because it’s not been tested as much), but it’s probably safer to take it than to not take it. It has shown that mice live up to 60% longer and the effect on dogs is also amazing. So my quest in 2017 will be to find a legitimate supplier of Rapamycin, I really want to give this a try. I think if you will start going on a ketogenic diet, reduce calories through fasting and take Metformin regularly (next to doing sports 4-5 times a week and make sure you get all vitamins and minerals that you need, which is a prerequisite for being healthy), you should be able to have a more healthy life and you should be able to keep aging in check. It’s not a recipe to turn 120 but it may help you to reduce the risk of cancer, diabetes and Alzheimer’s. If you want to stay healthy for the next 20-30 years this may help to get you there. There are a lot more ways to help you with anti-aging, but most are hard to do right now or quite expensive. A relatively easy one is hyperbaric oxygen therapy, something that professional athletes are already using regularly to recover more quickly from injuries. The easiest way is to buy an hyperbaric oxygen chamber and starting sleeping in it every now and then, you can find basic models online for around $10,000. Hyperbaric oxygen therapy helps to grow new blood vessels into tissue, and it’s been proven that it causes stem cell release from bone marrow into circulation. Next to that it suppresses inflammation, which is also important for aging because most chronic diseases are now recognized to result from chronic inflammation. If you have enough money to spend you can start looking at doing stem cell therapy (you can easily get this done in Thailand already). This seems to be very effective and it might become more normal over the next couple of years. Another therapy that can quickly rejuvenate you is to replace your blood by young blood (parabiosis). Among others venture capitalist Peter Thiel is doing this already. It may be a way to not only stop aging but to actually reverse it. Tests in mouse have shown amazing results, among other by rejuvenating aging tissue and by awakening old stem cells. Advanced clinical studies on humans are underway in China and Korea already. Of course this is not without risk, what would happen it stem cells would grow uncontrollably for example? There are several other ways to treat or reverse aging, but these are the most common ones (at least for now). Soon we’ll likely get gene editing therapies (think about CRISPR), but we are not there yet. The most important thing for me is that reversing aging turns out to be an engineering problem and that means it can be solved. We now know what is needed but we don’t have all the tools to do it yet. There has been a lot of progress and it seems to be just a matter of time before we solve all of them. I am not sure if we should strive to be immortal, but beating death would certainly change humanity completely. To me this field is fascinating and I will keep on doing my own research. I will also keep doing more of my own trials with fasting and taking supplements during the coming year. For me the main goal is to stay healthy into old age and to do it in a way that does not disrupt my life completely while doing it. So you won’t find me sleeping in a hyperbaric oxygen tent soon, nor will I do any young blood transfusions or go to a stem cell clinic. Enjoy life and stay healthy! Please note that this blog post reflects my personal opinion and is based on many articles and podcasts, not on my own scientific research. Please do your own research and/or check with your physician before trying any of the methods that I describe in this article. Compared to most other industries there has not been a lot of innovation in the food industry, but that will change soon. The number of human beings keeps on growing, and the expectation is that there may be 9.7 billion people on this planet by 2050. If that’s the case food production will not be able to keep up with demand without major innovations. At the same time food production has a big impact on climate change as well, so innovations are inevitable if we want to survive as a species. One interesting innovation that I have been paying a lot of attention to, is how meat can be produced in a more sustainable way. I started looking at this a few months ago after watching a couple of documentaries on the food industry, especially on how meat is produced and on how animals are treated. The way animals are grown and slaughtered was beyond my worst imagination. Not only that, but because of these practices food is just not safe anymore. I decided to reduce my meat intake considerably and I only tried to buy ‘high end’ meat. I also started looking at meat alternatives. Currently there are 2 kinds of meat alternatives: clean meat and plant-based meat. Plant-based meat has been around for a number of years, but there have been huge innovations in the last few years. Companies like Impossible Foods have created meat-like products with a taste and texture that is almost exactly the same as real meat. Clean meat is a more recent innovation. Companies like Memphis Meats have come up with ways to grow meat from animal cells, without the need to breed, feed and slaughter real animals. These products are not on the market yet, but they will be over the next years. I believe both approaches are fantastic innovations. Breeding animals for food is extremely inefficient because you feed an animal plant based foods to grow itself and then slaughter it for some of its meat. The most efficient animal to produce meat is the chicken, but even there you will need to feed it 9 calories for every calorie of meat that you will get. If you think about it, that’s completely crazy. Getting people to switch to meatless meat may seem hard, but I think it should not be a big problem. The biggest hurdle is to try it out for the first time. Once you have tasted it (I haven’t yet, so I am purely theorizing here) you will realize there is no difference. People buy food based on price, taste and convenience. If the taste factor is taken care of and if the meat will be available anywhere, price will be the differentiating factor. Right now price is still a problem, and that’s likely why only high-end restaurants serve Impossible Foods’ products. But that will change: meatless meat uses exponentially fewer resources, so once the production scales it will be cheaper than normal meat. Decentralized manufacturing will add to this. You don’t have to raise cattle and feed it in location A, then transport it to a slaughterhouse in location B, and then bring it to the start of the distribution chain in location C. You can manufacture it in location C and save on all these transportation costs as well. Of course this only works once you get to scale, but I believe this could go relatively fast. As a side note, once humanity will start inhabiting other planets, this kind of meat production will likely be the only way to get meat to places outside of earth. Timing is right, because I am a strong believer in the fact that in 10 years we will start inhabiting our first other planet already (Mars). People now eat meat despite how it’s made. Mainly because most people have no idea how meat is produced and how bad it is for the environment. But also because there are no alternatives. Artificial meat will be produced in a much more transparant way, people will be able to see where their food comes from. This will make food safer and healthier. The impact on the world will be huge once these products are readily available. Meat production is a major contributor to climate change, estimates show that livestock production is responsible for 18% of all greenhouse gasses. Next to that livestock production accounts for 70% (!) of all agricultural land use and occupies 30% of all land use on our planet. Without this a lot more land is available for other purposes. If you’re interested in this topic you should listen to a podcast by Andreessen Horowitz about this subject. 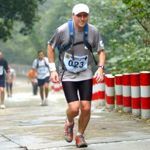 I listened to the podcast driving to work this morning and it inspired me to write this article. I embedded the podcast below. It’s not very technical, so even if you don’t know anything about the subject it’s easy to follow.